Hey all, happy start to summer! Sometimes the heat and appeal of the beach, as well as seeing dogs going walkies makes it difficult to keep up with every piece of retro gaming and related news that flies through one’s news feed every week. We (always ;) ) feel it’s our duty to record and share all the nostalgic gaming news that we uncover. Here’s another of our semi-regular curated lists of the best retro news that passes our desks. Our roundups are intended for sharing of news and promoting thought and discussion within the classic gaming appreciating community. Modding the cases of consoles can quite often spring some real artistic beauties into existence, and we’ve covered quite a few in the past on the site. If you love seeing that kind of thing then doylescustoms’ Instagram account is definitely worth a suss. 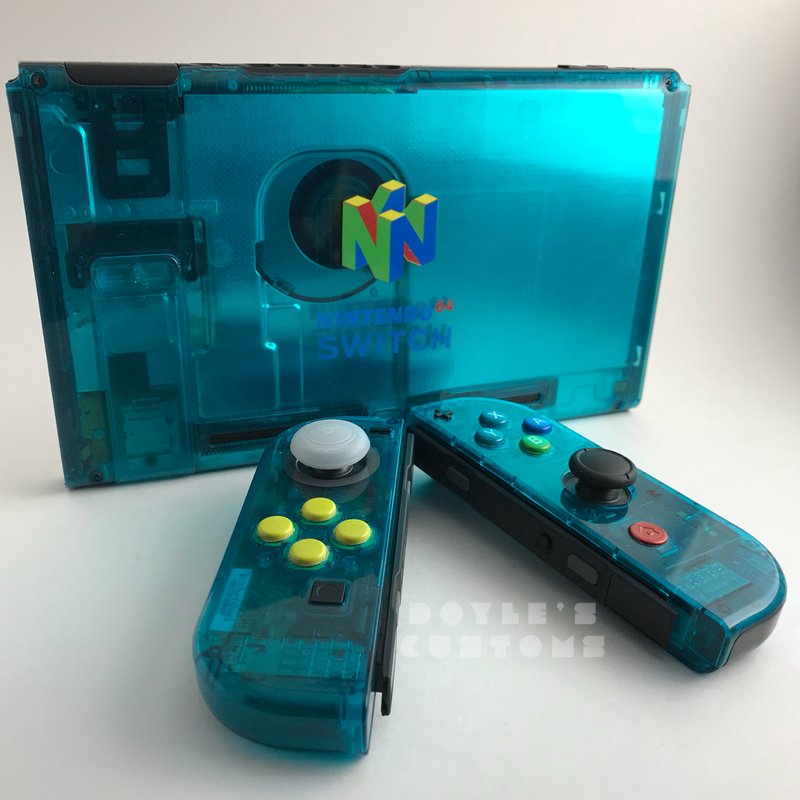 Including things like this sweet Nintendo Switch/Nintendo 64 transparent one created recently. He’s made a few similar ones with different colouring as well as this GameCube themed Joy-Con set that Iv’e fallen in love with, and a Darth Vader DLC themed NES console. It’s well worth a look. Extra Credits is a great and informative YouTube channel that makes animated videos related to gaming, history, and (recently) sci-fi related topics. Their history videos are notable for their upbeat tone while assisting the viewer in learning a thing or two, as are the sci-fi ones, but most of all the videos relating to the ins and outs of gaming and the psychology related to videogames are just plain gnarly. Recently they’ve made a few videos related to the now defunct Japanese game developer Quintet. Their first video (which can be found below) was more centred on the ups and eventual downs of the developer, known for titles like ActRaiser, Illusion of Gaia and Godzilla Generations. Now for something more related to us PALpatine gamers (due to it only getting released in Europe / Australia as well as Japan) is one of Quintet’s finest works, Terrinigma. In this video by DidYouKnowGaming, which covers the true core of the game, a word is used a few times that perfectly describes the feeling and atmosphere of the game; melancholy (FYI: melancholy is also a skateboard trick). 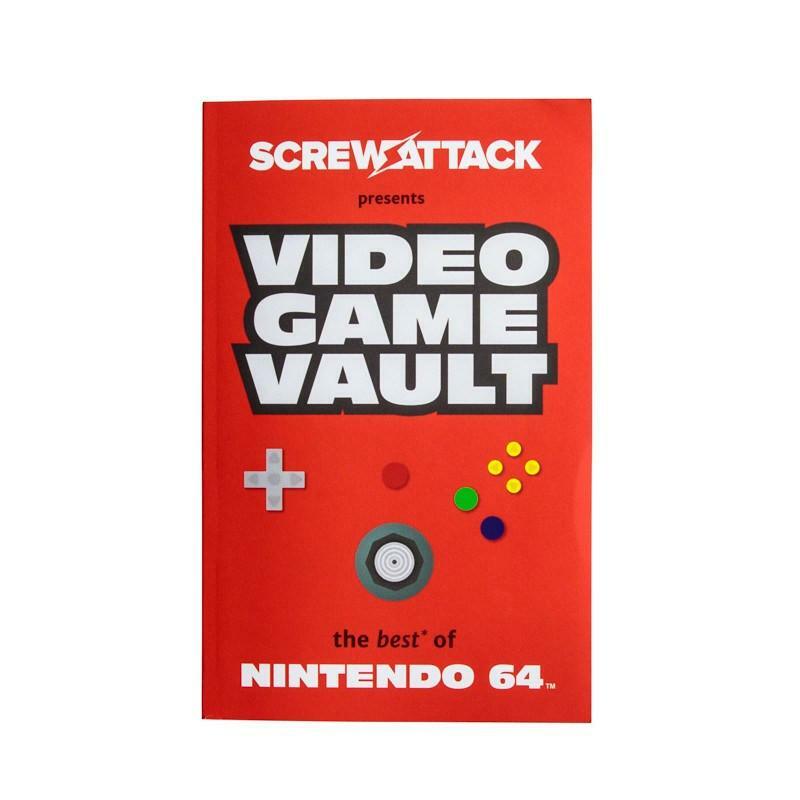 A while back the videogame site ScrewAttack released a book entitled “Video Game Vault: The Best of N64”, based on their old Video Game Vault video series. I gave this a read between shifts at the Retrospekt Gaming Museum at this year’s AVCon, and it was a nice lil trip down nostalgia lane. The book is currently on sale too at their store; give it a look if that’s your kinda bag. Speaking of Nintendo 64, gaming music site GameChops has been releasing some straight lit fire recently *dab*. The tunes that’ve stuck out the most for me lately have been the remixes of the old Treasure/Enix N64 gem Mischief Makers. Give ’em a listen below if you get the chance. GameChops also have a 24/7 live music stream on YouTube which is also worth a look. As someone who’s terrible at remembering to charge their phone resulting in it going flat way too often, I’m a big fan of power banks. I have six m’self for those days of the week where I don’t plug the phone in at all. 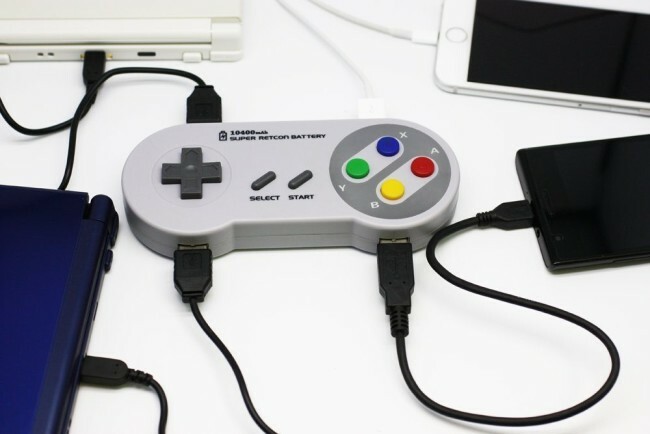 I may have to add another one or two to that bundle though since I can across these SNES controller shaped external batteries. They pretty much have enough ports to power an entire office block too. Japan Sumo Cup is a browser based rhythum game similar to Ouendan/Elite Beat Agents and Donkey Konga, but instead revolving around horse racing and sumo wrestling. It’s found its way here onto our retro gaming site due to also throwing Street Fighter characters into the mix. The Longest Five Minutes is an interesting sounding game where the player avatar is a hero about to fight the last boss…when you suddenly forget everything you’ve learned on your adventure. Throughout the battle you flash back to different points in the adventure to regain your skills and memories. The game has been out on Steam for a while but will be coming out digitally and physically on the Nintendo Switch in Feburary of 2018. Lookin’ forward to this one a lot. On the topic of Nintendo Switch trailers, Wizard of Legend also looks like it’ll be great. Finally for today is this trailer for the documentary Big in Japan which is due for release next year. It’s not specifically retro gaming related, but still might be interesting news to a lot of you reading out there. The documentary looks to be about how the lives of those who have moved over to the country have been affected by their choices, and their successes as well as failures. The film also has Adelaide’s own LadyBeard which is cool, and is currently having a crowdfunding style ticket drive (only fifty pre-sales are needed) to get a screening planted in Adelaide. It’s a worthy cause! Mike's a dude who likes games. He holds no allegiances, he just likes games. He'd even play Tetris on a shoe if he could. Spending his spare time dabbling in things like chiptune orchestrating and making video games, he likes to share his love of gaming through the articles he writes and videos he produces on Retrospekt. PAX Australia 2014 Tickets are now on sale!